[Concluded] [Giveaway/Contest] 4 x NetSpot PRO Lifetime with free upgrades licenses. NetSpot is the only professional app for wireless site surveys, Wi-Fi analysis, and troubleshooting on Mac OS X and Windows. It's a FREE Wi-Fi analyzer. No need to be a network expert to improve your home or office Wi-Fi today! All you need is your MacBook running Mac OS X 10.10+ or any laptop with Windows 7/8/10 on board and NetSpot which works over any 802.11 network. Why NetSpot is the best? NetSpot Social Links:- Facebook, Twitter, YouTube. I would like to thank my dear friend Kate Lysevych, and everyone at NetSpot for sponsoring this awesome giveaway for our forum members. 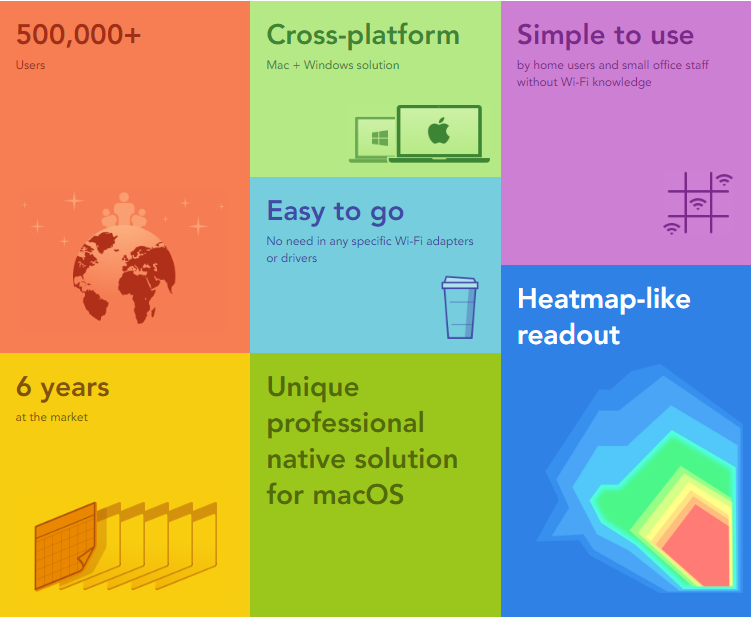 Again, "4 x NetSpot PRO Lifetime with free upgrades licenses" for the giveaway. Lastly, post anything about NetSpot (usage scenario, your experience) to show your appreciation and love for it. Those dang wifi radio signals... Always elusive, lol. This app could definitely work to ease the task of finding the right spot. Not talking about the G one, rofl. Great! I already use it as a free user. Nice app! Thanks for this GA, please count me in. Downloaded the free version and it's an amazing software. Very useful to know where are the signals and the problems. I am in. Thanks. NetSpot allows you to easily select channels for new Wi-Fi points with an optimal signal-to-noise ratio. 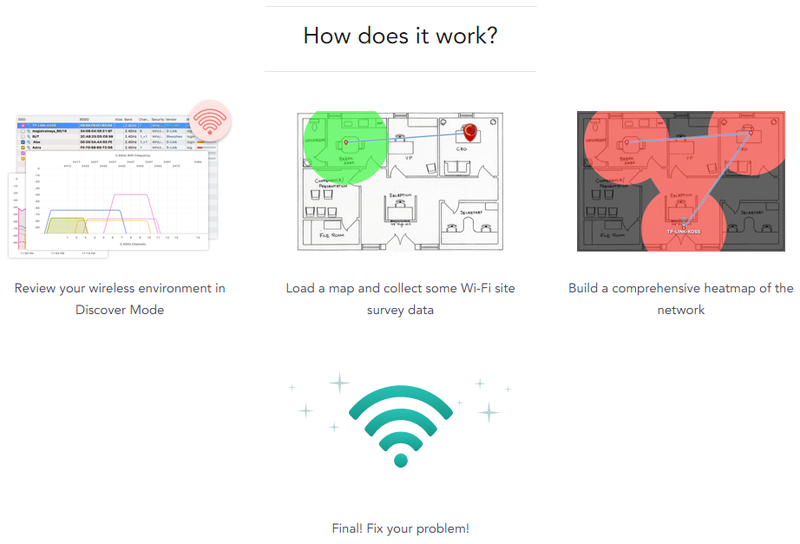 With the new problem-solving visualization tool, you can quickly and easily identify problems connecting to a wireless network, find noise sources, solve Wi-Fi configuration problems, and get automatic professional advice on all issues related to network visualization in NetSpot PRO. I'm very interested in this giveaway! Netspot is a great app; I use the free version at home to view and troubleshoot wireless issues. 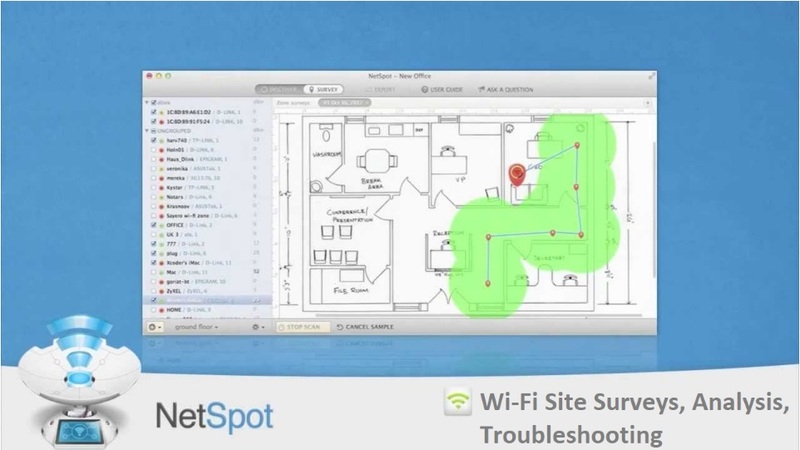 Netspot pro is a wi-fi survey software which features troubleshooting visualization to pinpoint the cause of the trouble or weak areas. It is very useful tool/software to zero in on the optimium mix and location of wi-fi devices in a place. Great app! Thanks for this GA, please count me in. and be able to solve problems. NetSpot PRO is the best software to improve signals and connectivity. Please enter me in the contest. I need NetSpot PRO. Making heatmaps would make my life much easier. Thanks. I have been looking for a program to help me measure as well as visualize the Wifi signal strength at my place. I tried an Android app for the same just to see the signal strength at corners. NetSpot is a perfect match for my need as it does provides a complete heatmap of the coverage. The Passive survey includes vital information such as Signal-to-noise ratio, Signal level, Frequency band coverage and Signal-to-interference ratio to help decide where an access point is required. Also it supports dual band - 2.4 and 5GHz. Great work ! Nice app! Thanks for this GA, please count me in. Thanks for the giveaway. It's a FREE professional Wi-Fi analyzer app for wireless site surveys, Wi-Fi analysis, improve your home or office Wi-Fi. The app lets you visualize, manage, troubleshoot, audit, plan, and deploy your wireless networks. NetSpot is a user-friendly program that not only cleanly presents Wi-Fi statistics without being obtuse but can survey a location to display incredibly useful heat maps of network performance. Discover mode provides a quick view of accessible networks. Information is listed horizontally in a table as SSID, MAC address, signal strength, the current frequency band and channel, router vendor, security, and more. Surveys used to map a Wi-Fi network’s coverage of an area. NetSpot is an excellent piece of a software for gauging the health of a Wi-Fi network. So thank you whizkidraj & MDL forum for this chance to win. I use this at my house and think it's great. Rather than purchasing new hardware, I was able to re-position my AP and improve a couple of problem areas. Please count me in on this. Thank you! Thanks Raj for the giveaway. I use a Netgear WiFi extender at home, to ensure that my router's range is accessible throughout the house. And at times I do get spotty connections, even though Windows may show full signal strength. NetSpot may be just the thing I need to see what's wrong with the wireless network, and maybe to see which room is best suited to place the extender in. Again whizkidraj, Great work ! Nice app! please count me in.